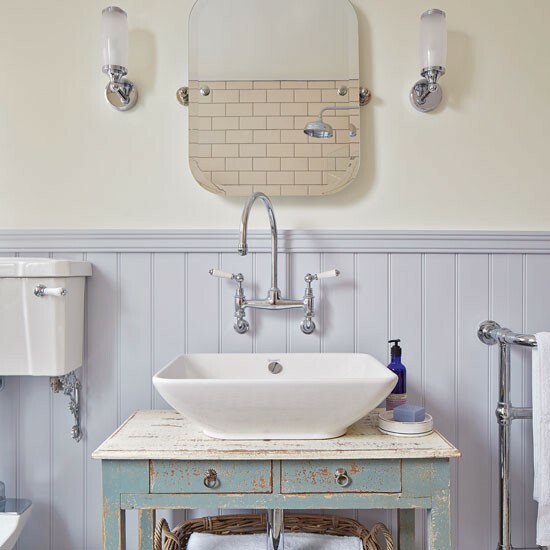 A pretty shabby chic look has been created in this bathroom using an upcycled and distressed console table as a basin stand. The soft teal paint shade is complemented by calming lavender tongue and groove mounted behind, while traditional fixtures and fittings add to the period feel with an elegant and well balanced finish. See more of our shabby chic, distressed and vintage console tables here.